What a daunting biographical subject Tennessee Williams must be! For starters, his oeuvre – surely one of the greatest in American theatre – is also one of the most sprawling, even messy. In addition to the ten or so plays that are the source of Williams’ greatest fame, there are poems, short stories, memoirs, screenplays, letters (published and unpublished) and more. Many of these are unfamiliar; some are short versions of works he continued to reshape later, often over long periods of time (Something Cloudy, Something Clear – usually referred to as Williams’ last play, dating from 1981 – was based on a one-act he wrote 40 years before.) It’s dizzying even to keep track of the various titles – what started as Battle of Angels later became Orpheus Descending, and (still later, on film) The Fugitive Kind. Williams sometimes explored a plot or characters across different genres – to understand The Glass Menagerie, it’s helpful to know Portrait of a Girl in Glass, the short story where he first took up the wrenching tale of Laura Wingfield. Williams’ private life was, if anything, less tidy than his professional one, with a cast of characters – family members adored and loathed, lovers who came and went, famous and infamous friends – as theatrical as any in his plays. 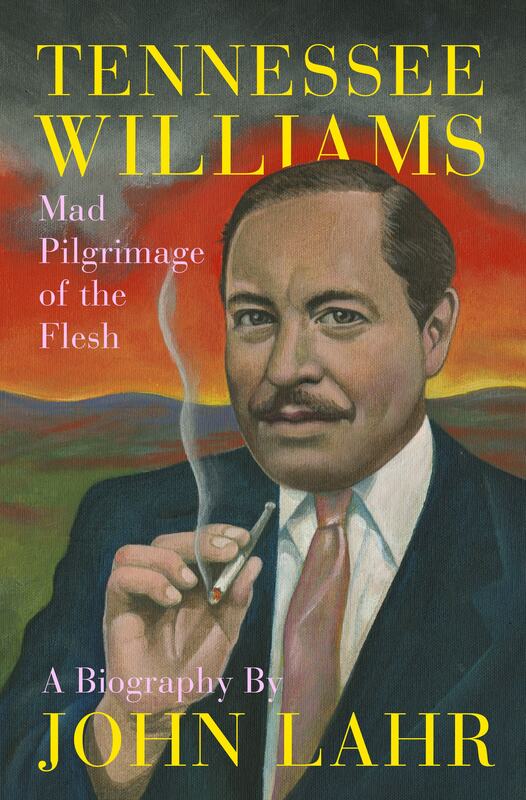 Another challenge – Williams’ career began with far greater sparkle than it ended, a fact that John Lahr, in his revelatory new biography, Tennessee Williams: Mad Pilgrimage of the Flesh, tacitly acknowledges in calling his penultimate chapter, The Long Farewell. None of this, though, has kept biographers away (it wouldn’t surprise me if there’s even more writing about Williams than by him). Yet much of the writing about Williams is problematic. 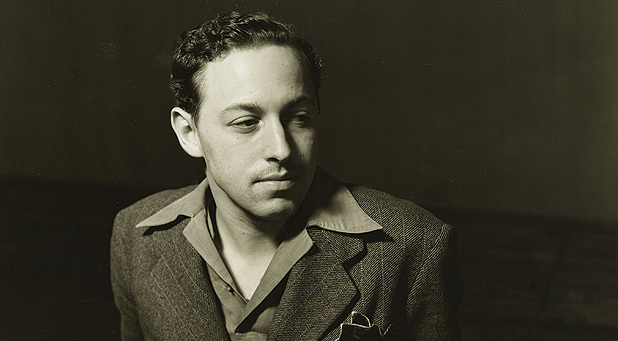 Some very good books – Lyle Leverich’s Tom: The Unknown Tennessee Williams, for example – take up only part of the story. I’ve never found a book that covered the full spectrum with depth and insight – till now. Mad Pilgrimage will be self-recommending – really, required reading – for any serious theatregoer… and, I hope, many others. Lahr has his authorial quirks (I would not be sorry to see his love affair with the word, “simulacrum,” come to end), but this is a great, great book. As is my current habit, I’ve been reading through listening, which in this case, adds an extra dimension. The audio version of Mad Pilgrimage is narrated by none other than Elizabeth Ashley, one of Williams’ favorite actresses, and an inspired choice. I never saw Ashley’s famous stage performance as Maggie in Cat on a Hot Tin Roof, which established her credentials as a Williams’ interpreter, but I’ve seen a number of her performances since – in Suddenly, Last Summer, The Milk Train Doesn’t Stop Here Anymore, and The Red Devil Battery Sign. I haven’t loved them all – she can be very mannered. 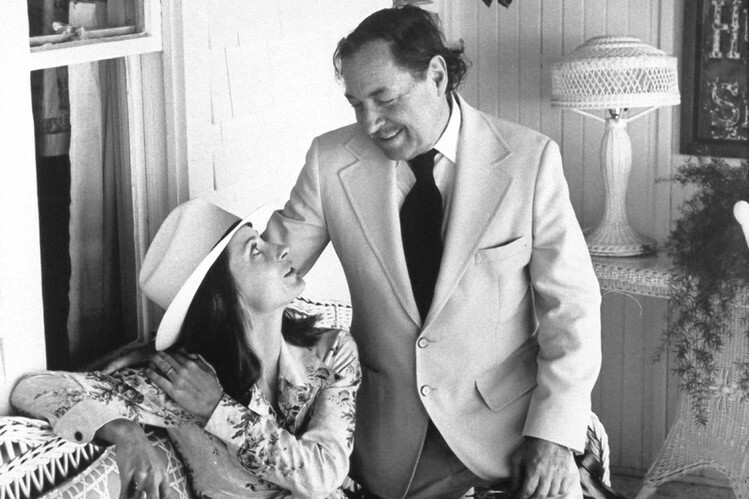 But even audio-only Ashley is a presence, and her husky, gutsy voice – suggesting a life-long devotion to cigarettes and bourbon – is certainly to the Williams’ manner born. Mad Pilgrimage includes extensive quoting of Williams. You might imagine this would sound odd coming from a female voice, but not so – Ashley’s range is downright baritonal, and she’s an uncanny impressionist. When I was a student at UCLA, I attended a talk Williams gave for theatre students – it may be my single greatest college memory – and Ashley’s impersonation could have fooled me!